We love our students! 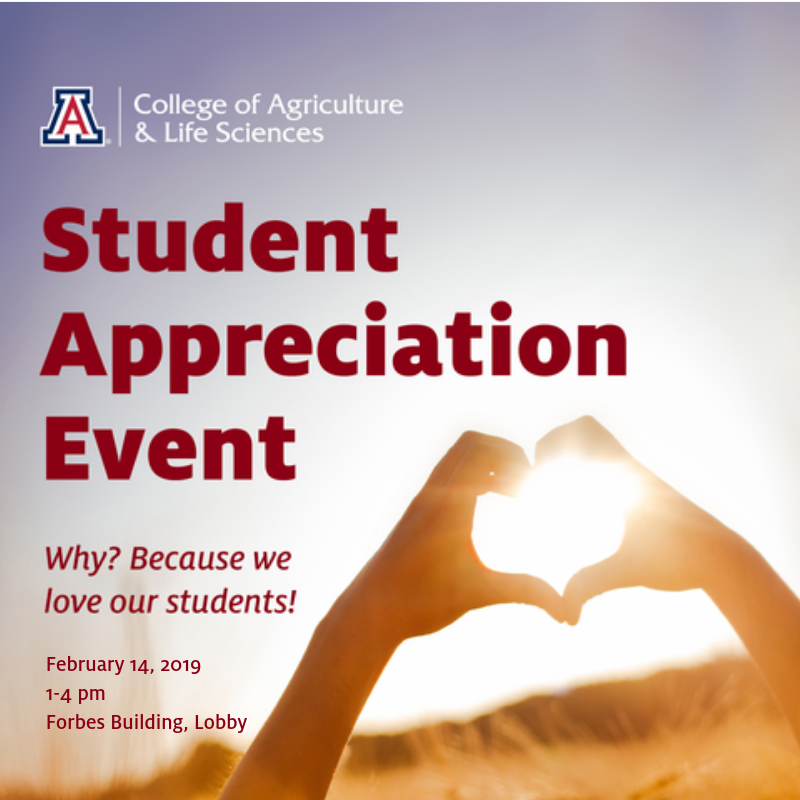 Attend the CALS Student Appreciation Event and enjoy delicious treats, make a chocolate kiss rose, or create a Valentine's Day card! The best part? Learn all about CALS scholarships, the simple application process, and how to create a powerful personal statement. With more than $850,000 in scholarship money available just for CALS majors, there's no reason not to apply!